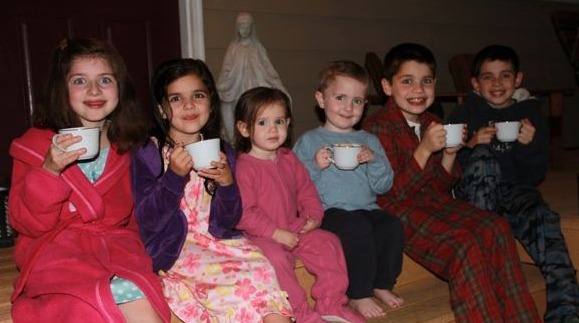 Over the years it has become our family tradition to head outside just before bedtime on Columbus day to do a little stargazing while drinking some homemade Spanish Hot Chocolate. Pour the milk into a saucepan and add the cornstarch, whisk to dissolve. Heat the milk on medium heat just until it boils, then remove from heat. Add the chocolate immediately and begin stirring until the chocolate is completely melted. Note: If the milk cools off too fast, place the pan back on the stove on low heat to melt the chocolate. Add the sugar into the chocolate milk mixture and stir until thoroughly dissolved. 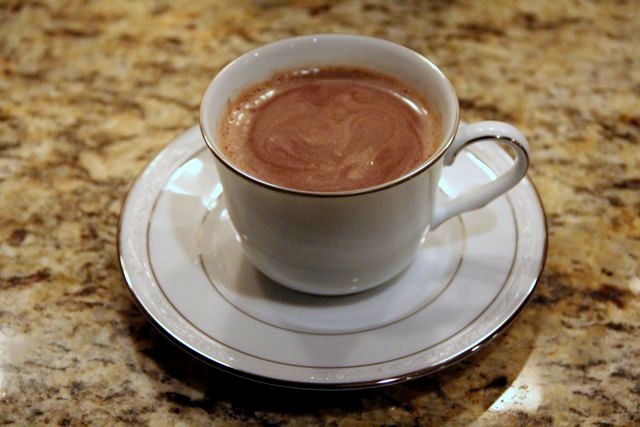 Taste the hot chocolate for sweetness and add more sugar if necessary. Note: Another option is to use milk chocolate instead of the baking chocolate and sugar. It is delicious both ways! Place the pan back on the stove on medium low heat, stirring slowly, but constantly. As soon as you see it thicken, remove the pan from the heat so the cornstarch will not thin. Ladle immediately into cups and serve piping hot. We had our Spanish Hot Cocoa last night with dinner. My girls were just thrilled!! As I was reading the recipe, I thought I could almost smell the Cocoa through the laptop!! Thanks so much for sharing, I will definitely be making this soon. Oooh, that hot chocolate sounds wonderful! Do you use sweetened or unsweetened baker's chocolate? Now I wish I had some whole milk! Thanks for the comments! I hope you all like it! Erin ~ I make ours with unsweetened baker's chocolate. If you use sweetened, just reduce or eliminate the sugar. It works either way!